I'm an Indie author, and to me, there is no better place than between pages or plots. Growing up, I had a passion for reading, science fiction, music, anything that was creative. I watched sci-fi shows (Buck Rogers & Battlestar Galactica) & read books & magazines about the big, bad wolf & vampires. Someday, I thought, there would always be a place for me In the Final Frontier. As we know, life isn't like the movies or TV (no Luke Skywalker or Captain Kirk). So after some thought, I decided to live in my fantasy world-through the printed word (or e-books) & share it with the world. I'm never without a book in hand. When life throws you a curve-ball, all you need to do is fly away to another world. That world is in the pages of books. To ask M. Corchis questions, please sign up. 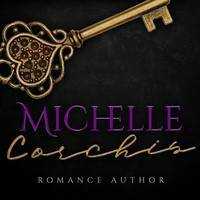 M. Corchis The best thing about being a writer is you get to express yourself. You get to live vicariously through your characters and grow along with them. It's…moreThe best thing about being a writer is you get to express yourself. You get to live vicariously through your characters and grow along with them. M. Corchis hasn't written any blog posts yet. We’d love your help. Let us know what’s wrong with this preview of Fallen Academy by Leia Stone. We’d love your help. Let us know what’s wrong with this preview of Manhattan Bet by V. Theia. We’d love your help. Let us know what’s wrong with this preview of Fugitive Mate by Anastasia Wilde. Tee loves Kyle Jacobson wrote: "Thanks for the add! You rock!" Thanks for the add! You rock! Low Price Books offers daily book recaps posted via facebook, twitter and other social media. Visit us to see our feed!